KABUL -- As Afghan farmers hauled in a bumper crop of saffron this year, the Ministry of Agriculture, Irrigation, and Livestock (MAIL) announced plans to invest more resources into the golden spice. Afghanistan harvested almost 6.5 tons of saffron this year, according to MAIL statistics. The country grows the crop in 31 of its 34 provinces. Next year's crop is estimated to come in at about 8 tonnes, as the government September 17 said it plans to expand the cultivation of saffron by more than 3,000 hectares in 2018. "Saffron is one of the major priorities of Afghan agriculture," ministry spokesman Lutfullah Rashed told Salaam Times. "Its cultivation is risk free and brings self-esteem to the farmers," he said. "Therefore, this crop has so far served as a suitable alternative to poppy cultivation for many Afghan farmers." The government is sparing no efforts towards the objective of total replacement of poppy cultivation with saffron, according to Rashed, as the cultivation of poppies funds the Taliban and other insurgent groups. "While the Afghan government and our international friends are against the cultivation and trafficking of narcotics, they support the cultivation and exportation of saffron," he said. "Afghanistan's saffron is a point of strength for the country's agriculture, and the quality and worldwide reputation of this product have increased its price," he said, expressing optimism that saffron exports will help boost Afghanistan's economy. Regional competitors in saffron production, such as Iran, are taking notice. 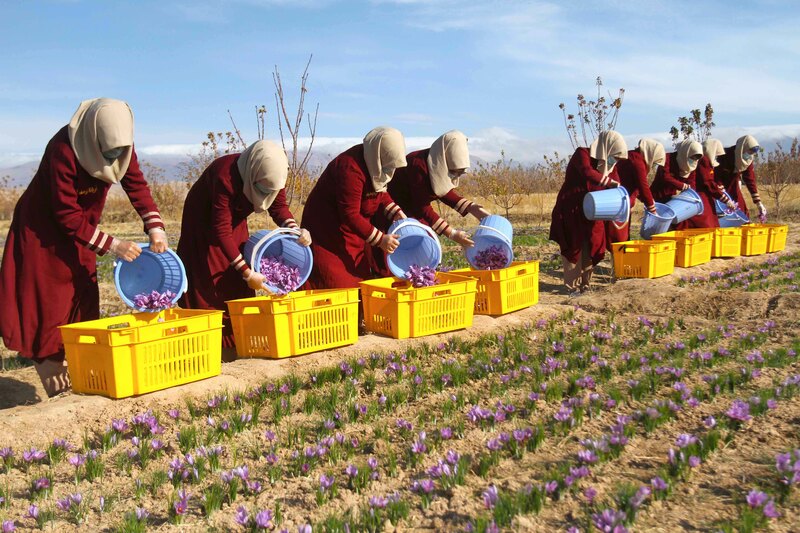 The increase in Afghan saffron production has "turned Afghanistan into a serious rival for Iranian saffron", according to Farhad Seherkhiz, a member of the board of directors of Iran's Saffron Exports Development Fund. Seherkhiz expressed his concerns over the future of Iranian saffron in a news conference with Iranian media September 17. He said his administration has been warning the Iranian government to prevent shipments of saffron bulbs to Afghanistan, but the government did not pay attention, saying "saffron is better than poppy cultivation". "Although curbs have been put on the export of saffron bulbs under President Hassan Rouhani's government, it seems Afghanistan does not need to import saffron bulbs anymore because it already has imported enough," he said. In addition, Seherkhiz said, the Netherlands has helped Afghanistan cultivate saffron and now it is planning to replace Iranian saffron with Afghan saffron in world markets. Over the last decade, and especially in the past five years, saffron cultivation has become more popular and more profitable, according to Rashed, adding that compared to 2014 and 2015, saffron production increased by 250% in 2016. "Saffron cultivation plays a vital role in supporting Afghanistan's economic infrastructure; therefore, since 2016, the Afghan government has launched a five-year plan to increase saffron cultivation in the country," he said. Afghans working in the saffron business are seeing positive results. "Hopes for this herbal product are higher than ever before," said Shakib Bahadori, director of King of the Afghan Saffron, a firm that processes saffron for export to markets in India, the United Arab Emirates and Germany. "Women are becoming economically empowered through the cultivation of saffron," he told Salaam Times, adding that his company provides "job opportunities for dozens of women". "In addition to the cultivation and processing of our own saffron, we purchase saffron produced by other farmers and sell it along with our own products," Bahadori said. Saffron production is proving lucrative and a viable alternative to opium poppies. 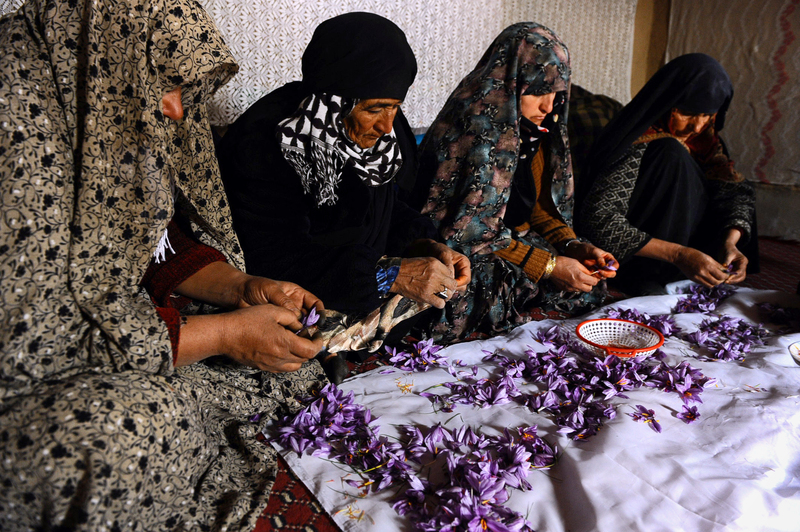 When bought in bulk, a gram of the best Afghan saffron costs 180 AFN ($2.62), according to Bahadori. "I have personally seen farmers ... replace opium poppies with saffron," he said. Farmers make that choice because "saffron cultivation is a legitimate practice that has a better rate of return", he said. Saffron, besides being a viable alternative to poppies, has the potential to raise Afghan prestige, said Sher Khosti, an economic and political analyst based in Kabul. "Saffron has many strategic points," he told Salaam Times. "First, it is a good alternative to opium poppy and hashish cultivation. Secondly, cultivation and export of this product will provide Afghanistan with considerable income, which means not only substantial profit for farmers but considerable tax revenue for the government." "Lastly, this crop has the potential to raise the prestige of Afghanistan internationally," he said. Saffron cultivation can even help in the establishment of peace in Afghanistan, Kabul-based civil rights activist Mohammad Amir Hashemi told Salaam Times. "If we pay close attention, we notice that poppy cultivation plays an instrumental role in the disturbance of security, strengthening of armed oppositions and helping local warlords," he told Salaam Times. "Therefore, replacing opium poppies with saffron will result in better security." Thanks a lot, it is a very interesting report. Such reports and information makes one happy. Please try to publish reports that focus on the development and prosperity of Afghanistan rather than publishing news and reports on its sorrows and pains. Iran and Pakistan, instead of having sympathy toward Afghans, have been trying to make conspiracies. But why should they have sympathy toward Afghans, because the ongoing condition [of Afghans] was caused by these two cursed neighbors, and they did so under the name of sacred Islam. They tell the fighters to go and kill Afghans with their so called jihad [holy war]. Curse on the neighbors such as the two that Afghanistan has. The Ministry of Agriculture is focusing on saffron cultivation to help farmers and decrease opium production, which funds the Taliban.